Personally, I like to do triple cleanse to make sure all the makeup residue and other dirt is off my face leaving it squeaky clean! To start off the process, I like to go over the face with baby wipes and YES!! I use baby wipes! 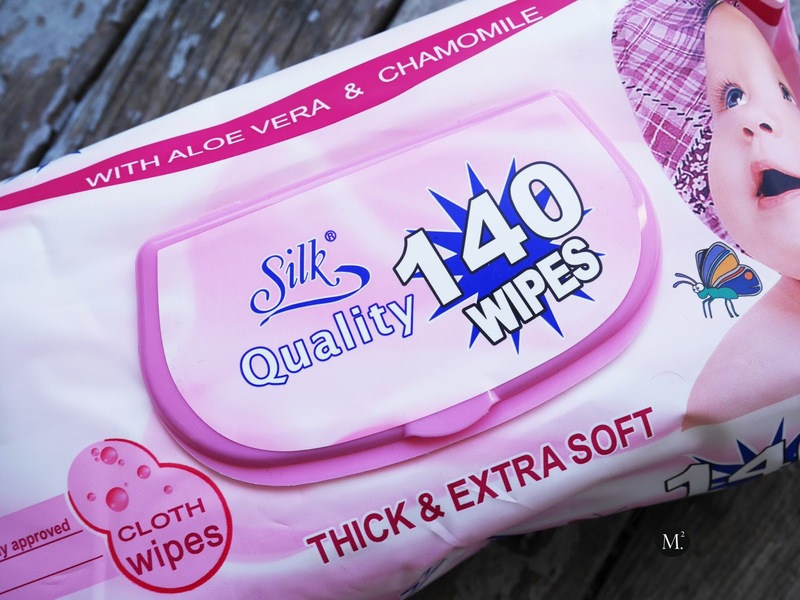 For me it is cheaper than your makeup wipes where you only get 25 sheets compared to 100+ sheets for a cheaper price! 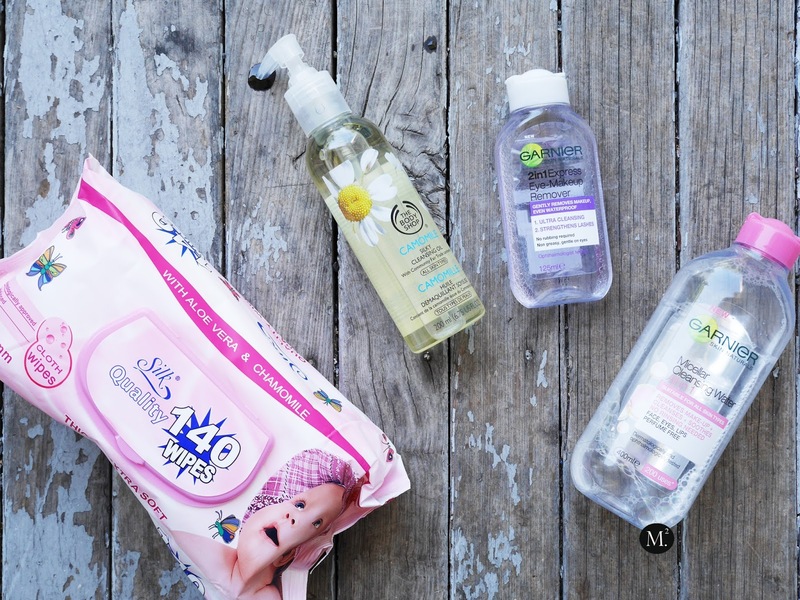 Pluse baby wipes is hypo allergenic which is perfect for my sensitive / acne-prone skin! It does the job of wiping off the makeup. Since baby wipes can't get any waterproof makeup off, that's where cleansing oil comes to play! 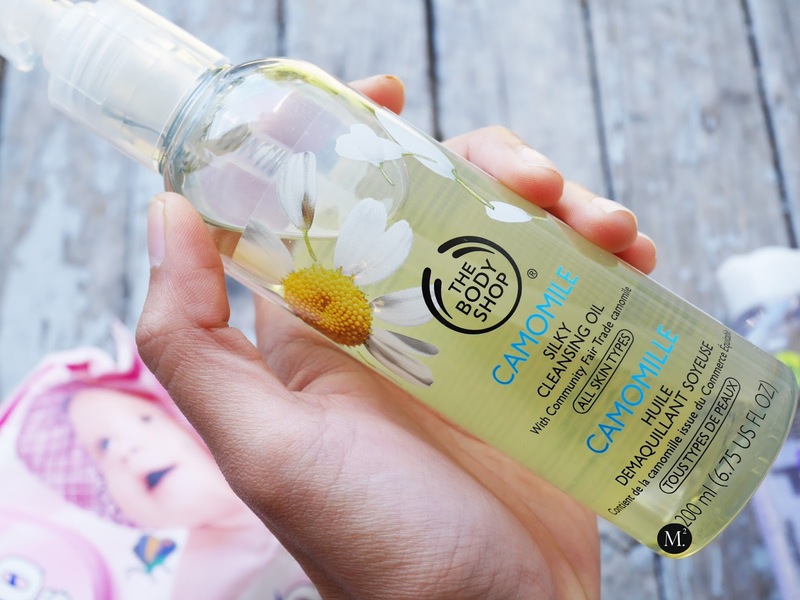 At the moment, I'm using The Body Shop Chamomile Silky Cleansing Oil. It is gentle and calming to the skin, and does not irritate my eyes. I've also used the cleansing balm version and both are great products! I gently rub this all over my face to melt off any left over makeup, then rinse it with luke warm water. I then proceed with my facial cleanser to further cleanse my face and get rid of the greasy feeling from the cleansing oil. Excessive? Well it works great for my skin! On my lazy days, I would just slather my face with Garnier Micellar Cleansing Water! It takes off pretty much everything and it requires no rinsing! 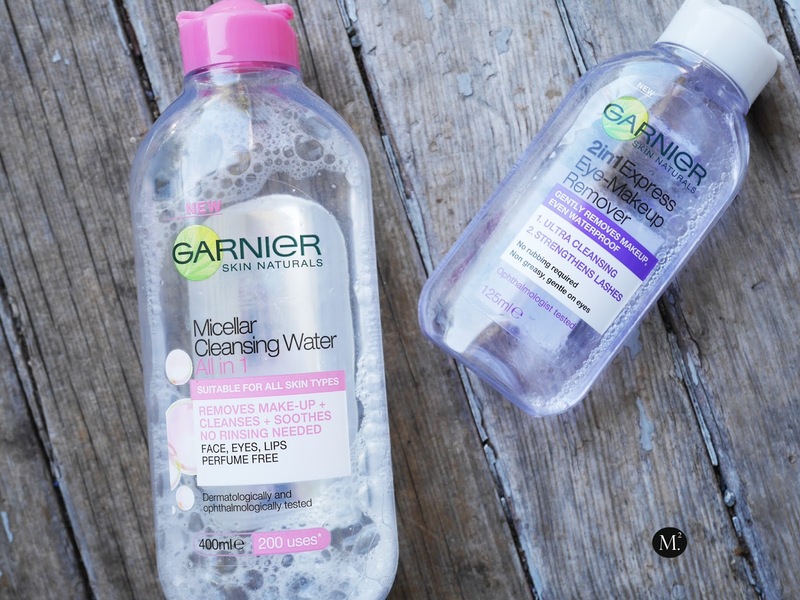 I did a post way back on my thoughts about micellar water which you can read here. I also use this product as a morning refresher to ensure a clean base for makeup application! For eye makeup removal, I'm currently testing out the Garnier 2in1 Express Eye Makeup Remover. 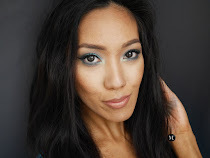 On an everyday basis, I like to wear waterproof makeup and it is hard to find a makeup remover that would take if all off! This product is surprisingly good! Does the job, and is the most gentle makeup remover I've ever used as of late! I also like to use this product to clean up any eyeshadow / eyeliner mistake. 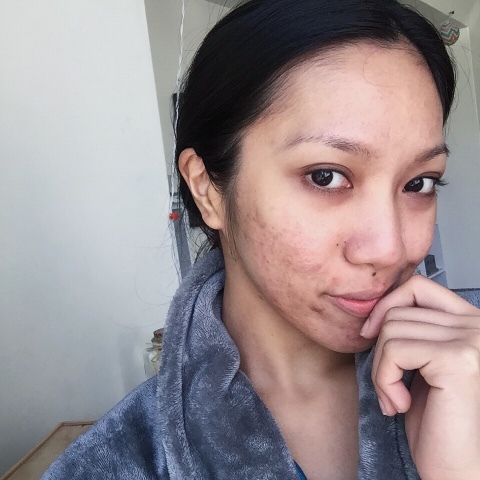 What are you holy grail cleansing products?